CGSC is a transdisciplinary working group committed to reflecting critically on the relationship between contemporary transformations typically associated with globalization and the political futures that may be opened or obstructed by them. 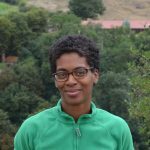 Kristina Richardson is an associate professor of history at Queens College and Deputy Director of MEMEAC at the CUNY Graduate Center. She has held fellowships and residencies at the Universities of Munich, Bonn, and Münster. Her first book, Difference and Disability in the Medieval Islamic World: Blighted Bodies (Edinburgh University Press in 2012), examined a generational chain of Arab disabled and able-bodied writers who wrote about disability. With Boris Liebrenz, she has recently completed a study and edition of the notebook of a 16th-century Aleppine weaver. This work will be published with Orient-Institut Beirut in 2019. Additionally, she has published articles on such subjects as blue- and green-eyed people, female slave performers, early modern Syrian manuscripts, and the documentation of a 16th-century Syrian sign alphabet. She is currently completing a monograph about medieval Middle Eastern Gypsy groups. Red Washburn, PhD, is Associate Professor of English and Co-Director of Women’s and Gender Studies at Kingsborough Community College. They also are Adjunct Associate Professor of Women and Gender Studies at Hunter College. They are Visiting Professor in the Exploring Transfer Program at Vassar College, summers of 2018-2019. Their articles appear in Journal for the Study of Radicalism, Women’s Studies: An Interdisciplinary Journal, and Journal of Lesbian Studies. Their poetry collection Crestview Tree Woman was published by Finishing Line Press. 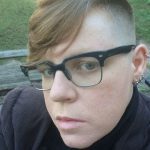 Their recent poems were published in Sinister Wisdom: A Multicultural Lesbian Literary and Art Journal, and they are the co-editor of three recent issues of it, including Celebrating the Michigan Womyn’s Music Festival, Dump Trump: Legacies of Resistance, and the Lesbian Herstory Archives. They are a coordinator at the Lesbian Herstory Archives and of the Rainbow Book Fair. Talia Shalev is a doctoral candidate in English at the CUNY Graduate Center. 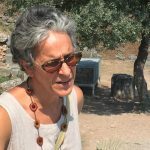 Her dissertation highlights contemporary US women poets’ engagement with concepts central to the imagination and negotiation of rights, with attention to how the common sense of rights discourse has been constituted and transformed in legal and extralegal, and domestic and global, contexts. Her work on the poet Adrienne Rich has appeared in Women’s Studies: an interdisciplinary journal, and she is a co-editor of Adrienne Rich: Teaching at CUNY, 1968-1974, a selection of materials from the poet’s years at the City College of New York, and Life Studies: 1966-1976, a selection of education-related materials from the poet June Jordan’s archives. She has taught courses in literature, writing, and American Studies at a number of colleges, and currently teaches at Brooklyn College. Alexandra Schindler is a doctoral candidate in Cultural Anthropology at the CUNY Graduate Center. She has her Master’s degree in Gender and Women’s studies from the American University in Cairo. 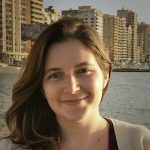 Her dissertation explores questions of mobility, urban space, and displacement in contemporary Alexandria, Egypt. Her research, based on two years of ethnographic fieldwork with both Syrian refugee communities and Alexandrian residents, engages critically with the literature on the global refugee crisis and Mediterranean port cities. 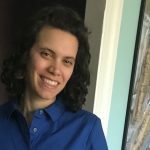 She has taught introduction courses in anthropology at Hunter College for several years, and currently works as a Writing Fellow at the School for Professional Studies. 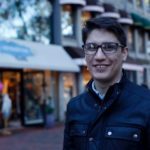 Francisco Fortuño Bernier is a doctoral candidate in Political Theory at The Graduate Center CUNY. His dissertation examines the avowedly populist strategy of Spanish political party Podemos and contemporary political thought in Spain. It explores relations between language, historical conjuncture, and political strategy. He has taught political science and theory, as well as Puerto Rican and Latino studies, in the CUNY system. Jason Frank is the Robert J. Katz Chair of Government at Cornell University, where he teaches political theory. Jason specializes in historically situated approaches to democratic theory, American political thought, politics and literature, and political aesthetics. 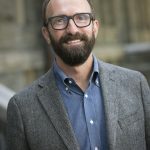 He is the author of Constituent Moments: Enacting the People in Postrevolutionary America (Duke University Press, 2010), Publius and Political Imagination (Rowman & Littlefield, 2013), and the editor of A Political Companion to Herman Melville (University Press of Kentucky, 2013). 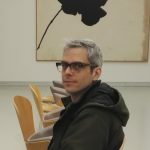 Jason’s articles and reviews have appeared in such journals as Political Theory, Modern Intellectual History, Theory & Event, Public Culture, Constellations, Contemporary Political Theory, Polity, Perspectives on Politics, Political Research Quarterly, American Historical Review, and The Review of Politics. While a Visiting Fellow at CUNY’s Committee on Globalization and Social Change, Jason will be completing a new book on the aesthetic dimensions of popular sovereignty in periods of revolutionary transition. The book is titled The Democratic Sublime: Assembly and Aesthetics in the Age of Revolution (under contract at Oxford University Press). One essay from his forthcoming book—“The Living Image of the People”—has recently appeared in The Scaffolding of Sovereignty: Global and Aesthetic Perspectives on the History of a Concept (Columbia University Press, 2017), and another—“‘Delightful Horror’: Edmund Burke and the Aesthetics of Democratic Revolution”—was published in The Aesthetic Turn in Political Thought (Bloomsbury, 2014). Mischa Suter is an assistant professor (Wissenschaftlicher Assistent) in the department of History at the University of Basel, Switzerland. His fields of research include the cultural history of the social, the historical epistemology of economic life, and relations between history and social theory. He is the author of Rechtstrieb: Schulden und Vollstreckung im liberalen Kapitalismus 1800–1900 (Konstanz, 2016) (“Debts and Enforcement in Liberal Capitalism”), an historical anthropology of nineteenth-century legal practices. Essays in English have appeared in Comparative Studies in Society and History, Social History, and International Review of Social History. Currently he is writing a book on conflicts over money as a societal medium in global German history. It is devised as a series of connected case studies that focus on the discourse of usury after the financial panic of 1873, the emergence of marginalist economics in the Habsburg empire, the fate of the German rupee in colonial Tanzania, and street protests during the Weimar inflation period. A second project is concerned with the history of ethnopsychology in the epoch of decolonization, 1930–1970.